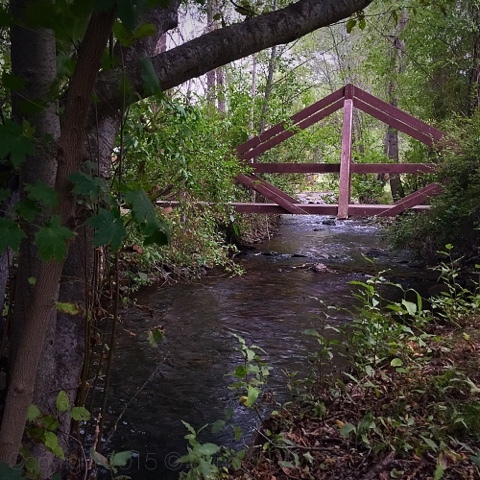 Another gorgeous site on Z5 Ranch - their very own bridge over Shining Waters. But a bit shallow for a Lady of Shallot reenactment. An idyllic scene Anne would truly love. But definitely have to forego the Lady of Shallot scenario - could get a concussion on that big rock in middle of stream.